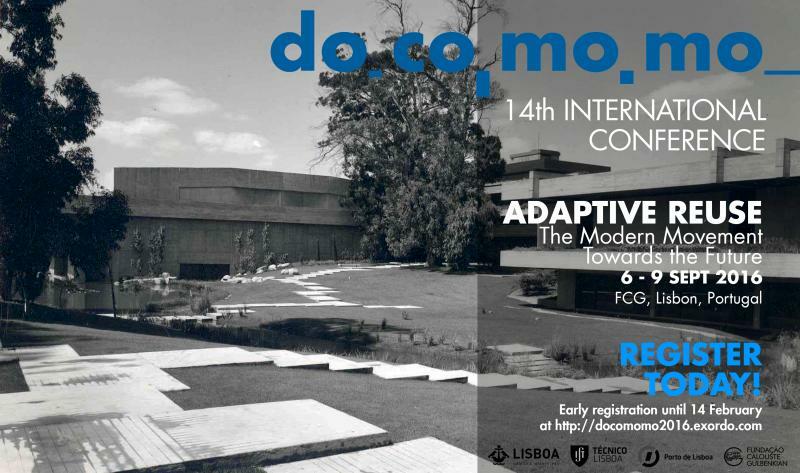 DOCOMOMO International would like to ask you to spread, in your media channels, institutions and universities, that the registration for the 14th International DOCOMOMO Conference “Adaptive Reuse. The Modern Movement Towards the Future” that will take place in Lisbon, Calouste Gulbenkian Foundation, Portugal, 6-9 September 2016, is now available at http://docomomo2016.exordo.com. The Early Registration period ends on 14 February.